Patterns for Pirates rocking the Summer of Wovens! 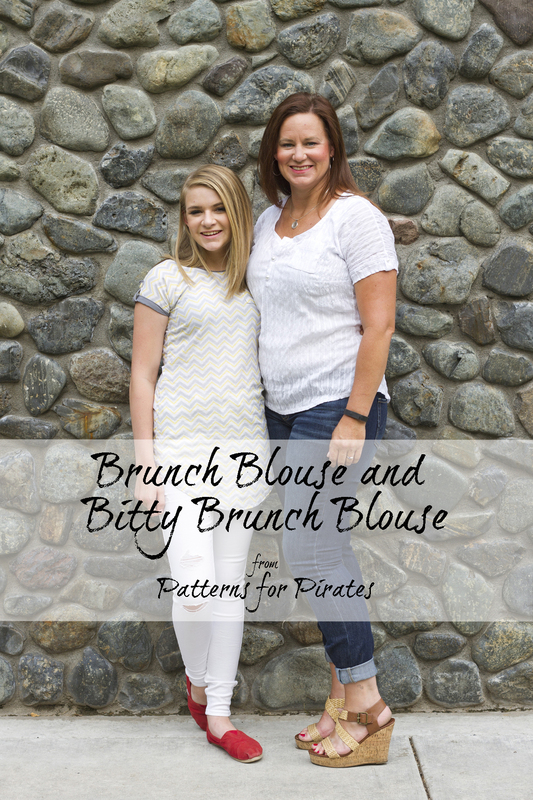 Introducing the Brunch Blouse and Bitty Brunch Blouse! I have been waiting for the perfect woven top pattern to use some of the lovely fabric in my stash, and the Brunch Blouse fits the bill! It doesn’t take very much fabric, includes simple options, and is a quick sew. In addition, the Bitty Brunch Blouse is a great simple top for Reagan. Be sure to read to the end for sale information and bundle discounts. 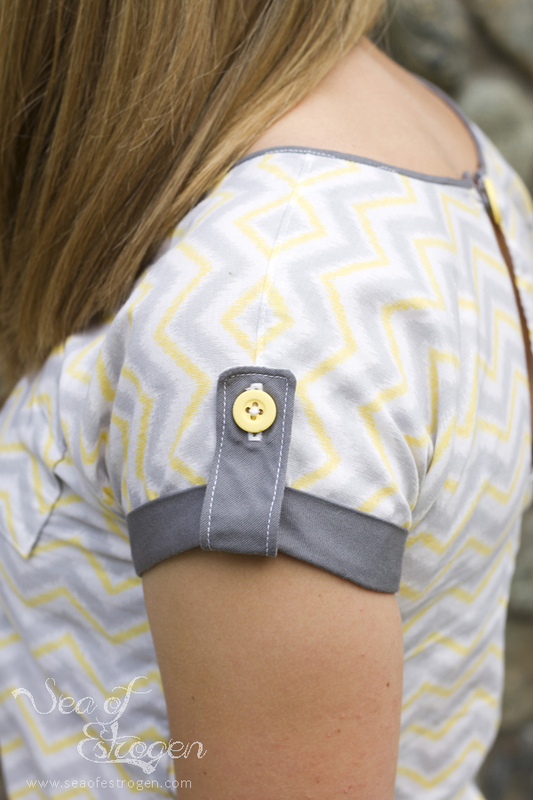 The Brunch Blouse is the perfect woven top for casual get togethers, work, and more! In addition, the Bitty Brunch Blouse is a great top for your daughter to wear to school and activities. 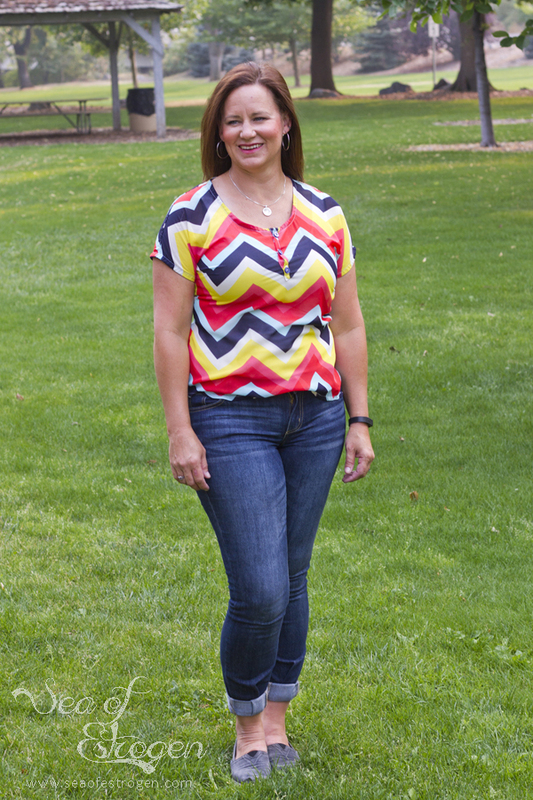 They are a dolman style top, tunic, or dress with finishing touches using single-fold bias tape, button tabs, and placket. 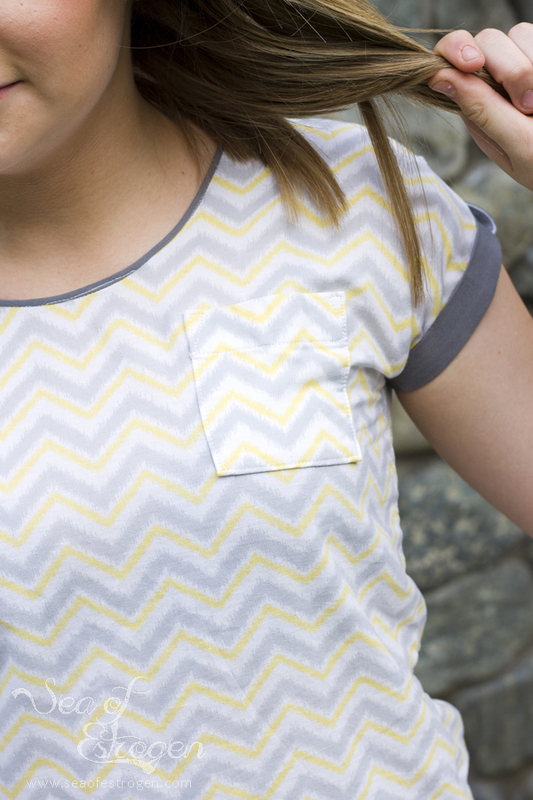 It is the ideal blouse for the woven fabrics in your stash! Both patterns are a dolman style short sleeve, cap sleeve, and tank style shirt with tons of options! In addition to the sleeve and tank options, the patterns include shirt length, curved tunic length, and curved dress length. 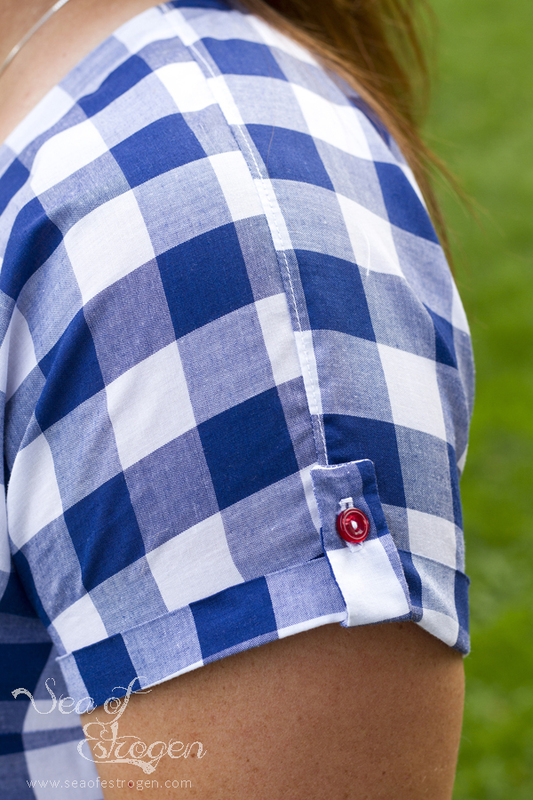 Additional options include a henley placket, chest pockets, and short sleeve cuff with optional button tabs. 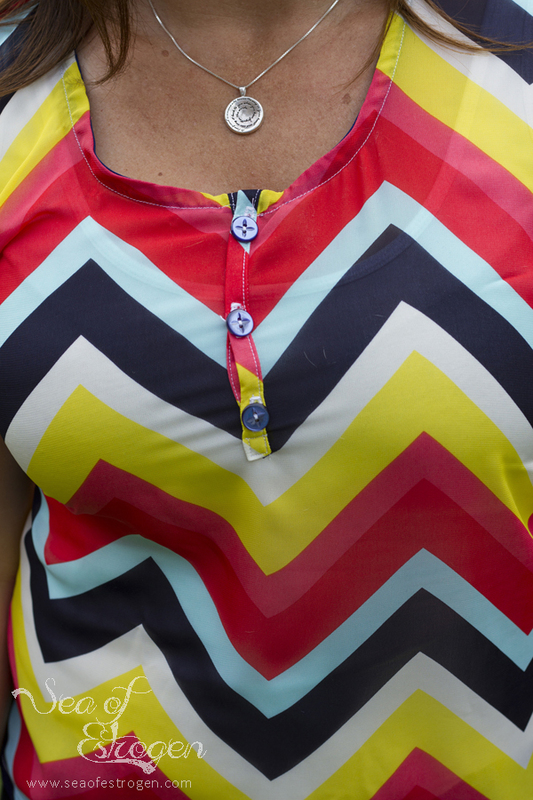 The neckline and tank arms are finished with single-fold bias tape on the inside. The back features a center seam for great shaping for a woman’s curves, and the girl’s option includes a button and loop closure. It is fitted through the upper and full bust and loose through the waist and hips. The P4P Brunch Blouse is on sale for a limited time during the pattern release, and the matching P4P Bitty Brunch Blouse is on sale, as well. In addition, the two patterns can be purchased as a a Bundle for even more savings! Come join the Facebook Group to see more pictures, and share with other Patterns for Pirates fans. In addition, check out this entire Pattern Hack Blog Post, which illustrates different ways to change up the pattern. I tend to favor clothing made from knit fabric; however, I really like the fit and comfort of this blouse. It will definitely be in my rotation of patterns to use on a frequent basis. For additional size and option variations, modeled pictures, and more details, visit the round up blog post and Facebook Albums (Brunch Facebook Album and Bitty Brunch Facebook Album) full of photos to look through. If you have any questions for me, feel free to leave them in the comments, and I’ll try to answer.